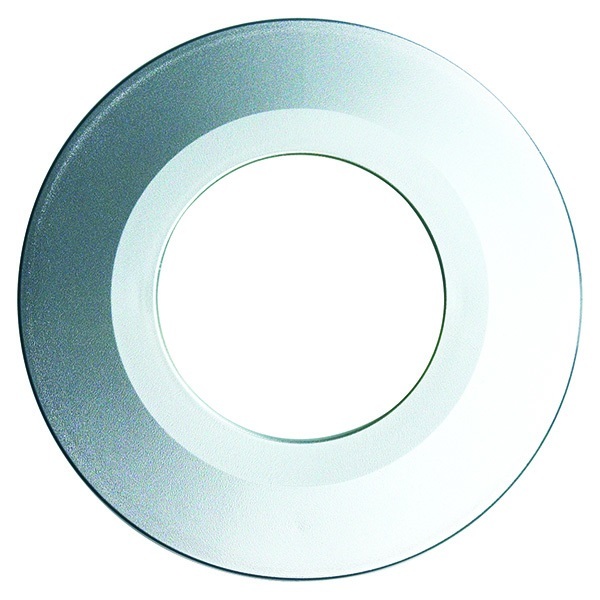 With the H2 Pro 550 Twist Lock bezel system, it makes for an ideal solution for 1st & 2nd fixing as the downlighter can be installed and the bezel can be put in place after the decorating is finished. As a added touch if you decide to change your decor at any point you can simply replace the bezel with a new finish rather than having to replace the existing down-lighter. This Silver bezel is for use with the DL35638NW/WW and DL35660NW/WW Down-lighters. The bezel is plastic coated. Please note that this listing is just for the Silver bezel Only, you will need to purchase a separate down-lighter.